Exactly a year ago, the Deepwater Horizon rig exploded and sank to the bottom of the ocean, beginning the slow underwater seep of 5 million barrels of oil. Today, the Gulf is better—but the disaster's damage remains. The Economist explores the BP spill's longterm consequences so far, and comes up with mixed sentiments. 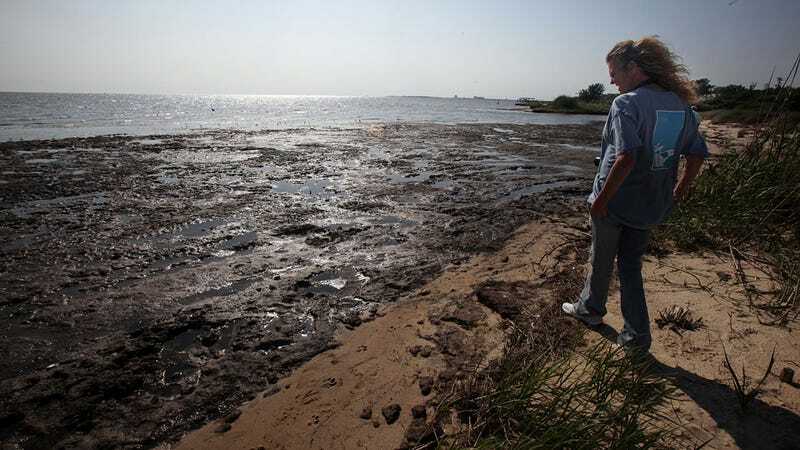 On the one hand, it could have been much worse—ecologists like Thomas Shirley of Texas A&M University say fortuitous weather drove oil away from sensitive marshes, and surprise microbial feasting too helped cut the slick. But as much as things could have been worse, they were still pretty damn bad. NOAA estimates 40% of the spilled oil—meaning a whole lot of it still made its way into the environment, ravaging wildlife and human populations alike. Poisoned coral beds, rocked food chains, bacterially-induced oxygen dead zones—these are just some of the ecological plagues that continue to disturb the Gulf beneath the surface.